Wear it – feel it! The feminine shaped Run Short appears with contrast colored hem and fashionable All Over Melange Print. 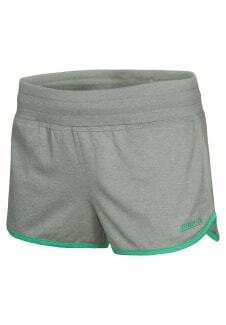 Our max-Q.com short is a perfect companion on warm days-inside and outside. 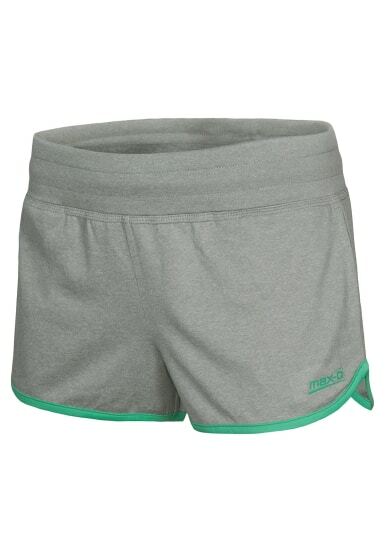 In addition to a trendy cut, the short offers two sided pockets and a wide waistband for a comfortable fit. The drawstring on the waistband also provides a firm and perfect fit.